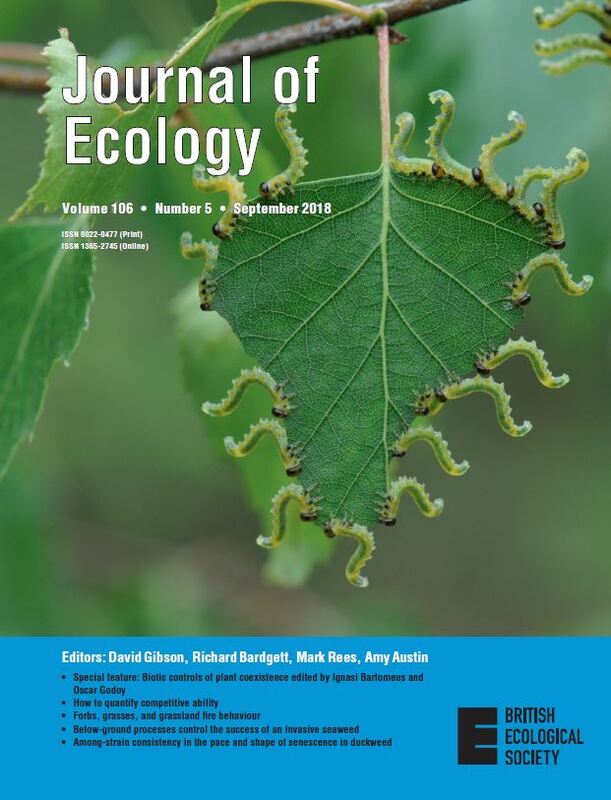 Journal of Ecology publishes original research papers on all aspects of the ecology of plants (including algae), in both aquatic and terrestrial ecosystems. Papers concerned solely with cultivated plants and agricultural systems may be considered if they address important ecological or evolutionary questions. Studies of plant communities, populations or individual species are accepted, as well as studies of the interactions between plants and animals, fungi or bacteria, providing they focus on the ecology of the plants. We aim to bring important work using any ecological approach (including molecular techniques) to a wide international audience and therefore only publish papers with strong and ecological messages that advance our understanding of ecological principles. The research presented must transcend the limits of case studies. Both experimental and theoretical studies are accepted, as are descriptive or historical accounts, although these must offer insights into issues of general interest to ecologists. For the latest Journal news follow @JEcology on Twitter. You can access accounts for the Biological Flora of the British Isles series by using our dedicated database. Annual prize for the best paper by an early career researcher published in Journal of Ecology.